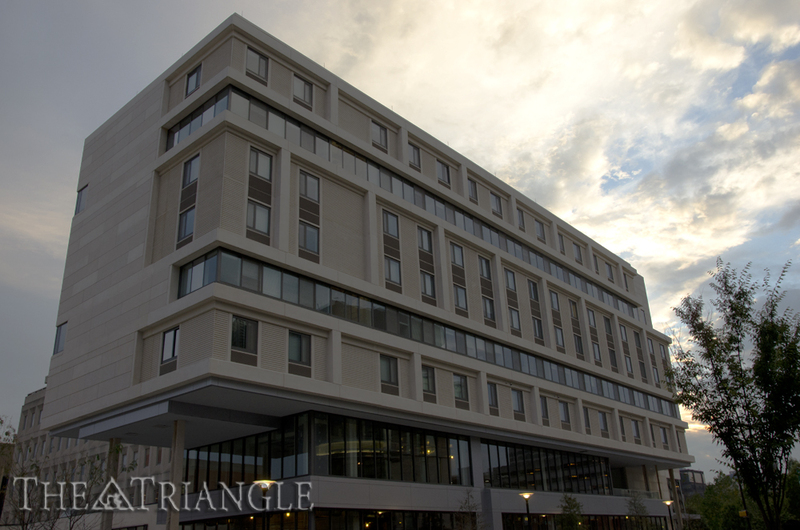 After breaking ground in early 2012 and nearly two years of construction, September 2013 marked the opening of Chestnut Square, with students moving into their new homes and retail stores on their way to completion. Chestnut Square is a living community located on Drexel property but owned and managed by American Campus Communities, one of the nation’s largest university housing development companies. Costs of the devlopment came to nearly $97.7 million. “This is the greatest building on Drexel’s campus, at least to live here. It’s really nice,” Dan Spears, a criminal justice junior, said. He said he also enjoys having a private room and a full kitchen for four people. Despite the upscale features that the building has to offer, students were reporting minor kinks as the building begins to open. Kovar reported hearing complaints about the Wi-Fi within the building, although she personally has not had any problems with it. Residents had reported complaints that if the Ethernet cable worked, the Wi-Fi did not and vice versa. According to Kovar, the building includes Wi-Fi by Hotwire with Ethernet ports, and residents have little to no access to the Dragonfly Wi-Fi networks, although they do have access to a private Chestnut Square network. Currently, one out of three elevators is also out of order. Kovar and Flowe both said they thought more elevators should have been installed. Only townhomes have a washer and dryer in the suite, and residents living in apartments must do their laundry in the basement. Moreover, cell phone service is another issue. While Verizon and Sprint users have no problem with the network coverage in the building, there is little or no signal for AT&T and T-Mobile phones. All rooms are fully furnished, and the building is equipped with deluxe amenities, including a fitness center, recreation center, theater room, iPad bar, and Golden Tee arcade game. Room doors are opened with magnetic keys. On the first floor of the building are a variety of retail stores, including Joe Coffee, Shake Shack, Franklin Mint Federal Credit Union, Yogorino, Plaza Artist, Zavino, and Zama. According to Clarke, the retail shops and restaurants have later opening dates throughout the fall, depending on the operational needs of retail partners.